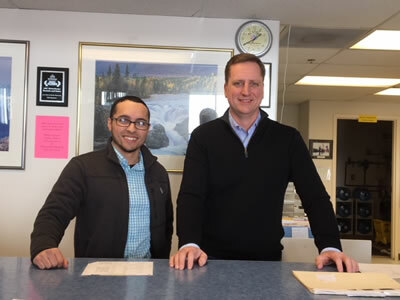 ABC Motorhome & Car Rentals is an Alaskan-owned and family-operated business that has served the Anchorage area since 1985. Rooted deep in Alaska, we contribute and participate in the local spirit and economy of our great state in any way possible. By offering our customers a large selection of rental RVs and other vehicles all at an affordable rate, we are able to entice visitors from all over the globe to experience a vacation of a lifetime. Our expert staff members are always happy to assist with the planning of any aspect of your vacation. Going that extra mile has garnered us respect from all over the state as being one of the most trusted RV companies in Alaska. Perhaps that’s why we have so many repeat customers. Along with our friendly and informative staff, you’ll enjoy our top-quality, frequently serviced RVs and automobiles. We always have your convenience in mind, and as the only RV rental company located at the airport, we offer a free shuttle service to and from our location. For customers who have a late flight, we also offer half-day vehicle rentals. Keep in mind that if you happen to have a weather-delayed flight or arrive after our normal business hours for whatever reason, we will prepare your recreational vehicle for a night’s stay in our parking center. Rather than booking a hotel for one night, unpack your things in your own RV and rest until morning. When we open our doors the next day, we’ll get your paperwork signed and get you out on the open road. 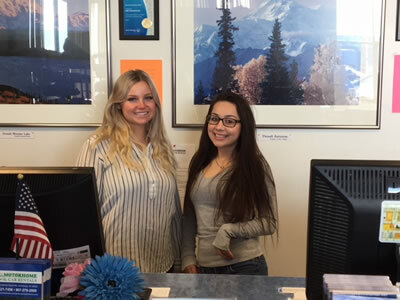 As members of the Alaska Travel Industry Association, the Anchorage Convention and Visitors Bureau, the Matsu Convention and Visitors Bureau, and the Better Business Bureau, you can put your trust in us. Come and see why our customers keep coming back for their Alaskan adventures and join our ABC family. Along with RV and vehicle rentals, we also sell and service RVs. For more information about any of our services and rental options, contact us at 800-421-7456 today.